Your Price: $24.95 NEW ITEM!!! 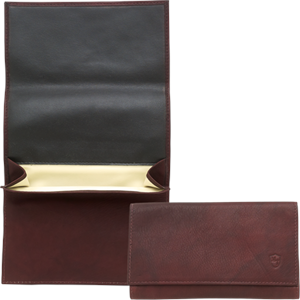 "Antique" Brown Leather Roll Up Pouch with rubber lining. 5 3/4" wide x 3 1/5" tall when closed. Made in India.